2. The length of products is decided by your demand. 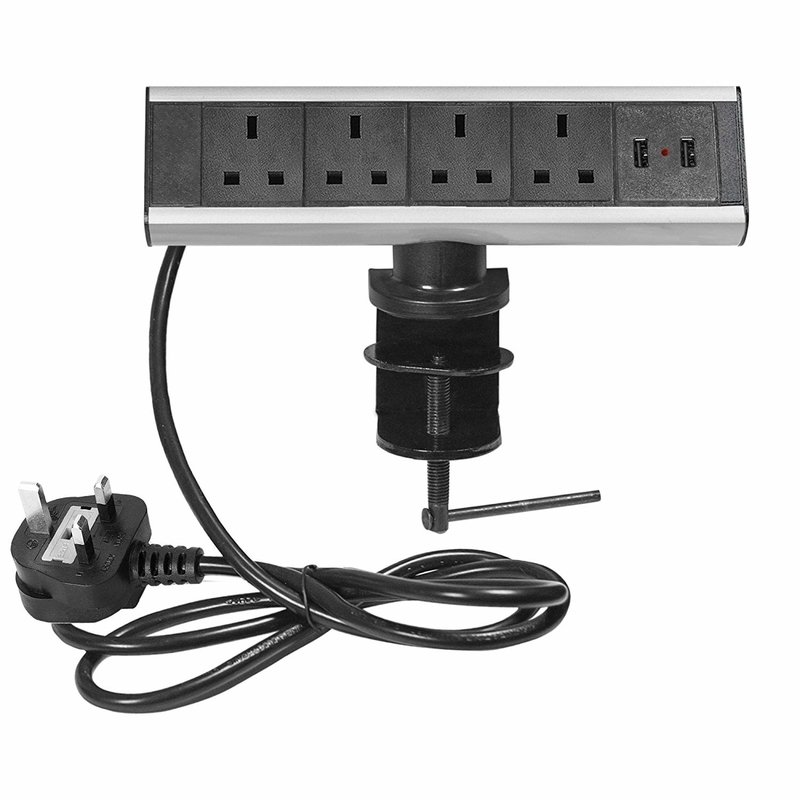 1.4 way power strip with 2 USB Charger,maixmum output power 3500W. 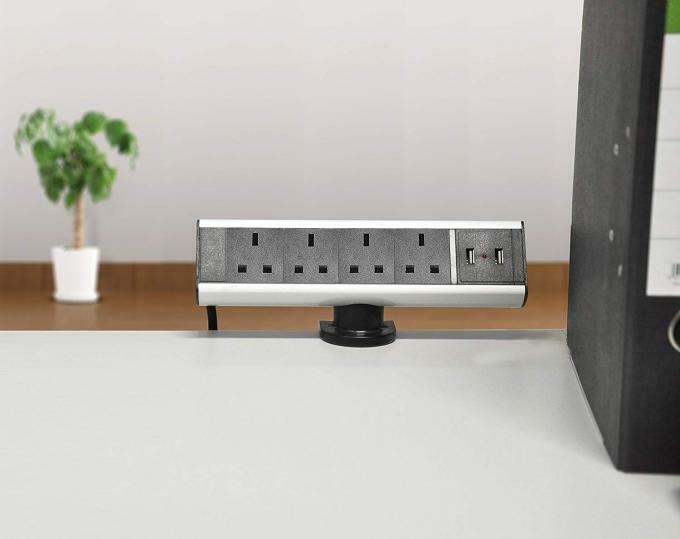 2.Fully retractbale into the desktop,a perfect desk power outlet for flexible workspace. 3.Stylisch compact design and robust materials garantee a lang service time. 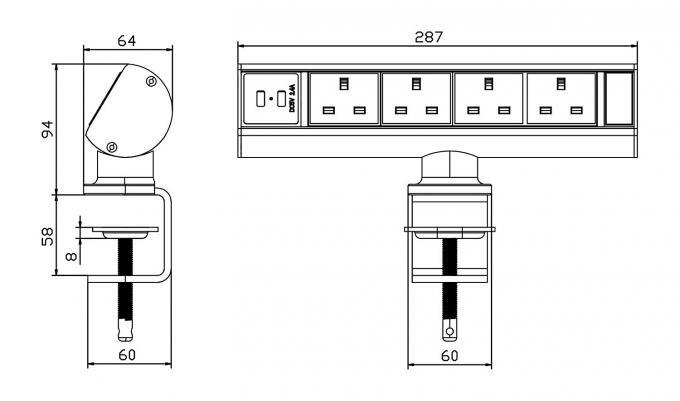 4.Ultra safety:1500J Surge protector,Child protection, lightning strike protection. 5.Easy to install,a simple solution to tidy your desktop,suit for office,kichen,worktop.